IAMAW Local Lodge 2339H in Houston, representing 5,000 flight attendants at Continental and Express Jet Airlines, is the 500th union organization to endorse HR 676, single payer healthcare legislation introduced by Congressman John Conyers (D-MI). single payer health care as a legislative priority for 2009. * Leave decision-making tasks in the hands of the public. single-payer healthcare coverage for all. and retiree chapters in every state and territory. Challenging head-on the powerful private insurance and pharmaceutical industries, Vermont’s Sen. Bernie Sanders introduced a single-payer health reform bill, the American Health Security Act of 2009, in the U.S. Senate Wednesday. The bill is the first to directly take on the powerful lobbies blocking universal health reform in the Senate since Sen. Paul Wellstone’s tragic death. By eliminating the high overhead and profits of the private, investor-owned insurance industry, along with the burdensome paperwork imposed on physicians, hospitals and other providers, the plan saves at least $400 billion annually – enough money to provide comprehensive, quality care to all. To address the critical shortage of primary care physicians and dentists, the bill provides resources for the National Health Service Corps to train an additional 24,000 health professionals. Sanders, who serves on the Senate Committee on Health, Education, Labor, and Pensions, is a longtime advocate of fundamental health care reform. His new bill draws heavily upon the single-payer legislation introduced by the late Sen. Paul Wellstone (D-Minn.) in 1993, S. 491, and closely parallels similar legislation pending before the House, H.R. 1200, introduced by Rep. Jim McDermott (D-Wash.). A single-payer bill introduced by Rep. John Conyers Jr. (D-Mich.), H.R. 676, obtained 93 co-sponsors in the House during the last session. It has been reintroduced in the new Congress as the U.S. National Health Care Act with the same bill number. A new study shows that the Massachusetts model for national healthcare reform is a failure. Taxpayer subsidized insurance and forcing citizens to buy insurance is supported by the insurance industry and their bought politicians such as US Sen. Max Baucus. Back in 1988, Massachusetts passed a universal health care law very similar to the 2006 reform. Since 1988, many states—Oregon, Minnesota Tennessee, Vermont, Washington and Maine—have enacted reforms aimed at achieving universal coverage. All failed. These reforms differed in detail, but shared common elements. All offered new public subsidies or expanded Medicaid for poor and near-poor people. All left the majority of private health insurance arrangements undisturbed, although many included new insurance regulations or state purchasing pools to help make affordable coverage available to individuals or small businesses. Some (Massachusetts 1988, Oregon 1992, Washington State 1993) contained mandates on employers or self-employed individuals. None of these reforms made more than a temporary dent in the number of uninsured. These incremental reforms failed because they did not include effective cost-control measures. As health costs rose, legislatures backed off from forcing employers and the self-employed from paying ever-rising premiums and the mandates were repealed. Relying on Medicaid was fiscally problematic for states because tax revenues fall at the same time that unemployment pushes families out of private coverage. There is little reason to think that the current Massachusetts reform, or a national plan modeled on these state reforms, would have any better long-term success. Comprehensive coverage for all, including doctor, hospital, long-term, mental health, dental and vision care as well as prescription drugs and medical supplies. No premiums, co-payments, or deductibles that inhibit access to care and unfairly burden the poor. Free choice of doctor and hospital and an end to insurance company and HMO dictates over patient care. Pays for itself by eliminating wasteful private insurance administration and profit. A progressive tax would replace what is currently paid out-of-pocket. Controls costs so benefits are sustainable through negotiated physician fees, global budgets for hospitals and bulk purchasing of prescription drugs and medical supplies. A single-payer system would facilitate health planning to reestablish the balance between preventive and primary care on one hand, and high-tech tertiary care on the other. The nation must not look to Massachusetts’ health reform as a model. If we truly want to provide comprehensive health care for all of us at a price we can afford, we must adopt a single-payer plan. 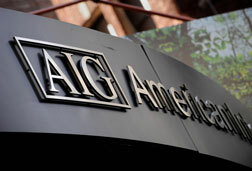 The Real AIG Scandal…It’s not the bonuses. It’s that AIG’s counterparties are getting paid back in full. My mother is an 83-year-old single woman suffering from Post Polio Syndrome. She has been waiting for more than one year for payment of the money AIG approved for damage due to a broken pipe that destroyed the first floor of her single family, two-story house in January, 2008. During the past year, AIG has done everything in their power NOT to pay the money due, including subjecting her to a 5+ hour deposition for which she had to hire an attorney. I would like to ask one of the AIG executives who received a $1M+ bonus: would you consider giving my mother a loan while your adjusters and underwriters at AIG continue to delay the payment AIG has already approved? Because right now, she’s living on balance transfers and hand-outs from her children — taxpayers who paid for your bonus. After spending a lifetime at work so that she could afford to pay her homeowner’s insurance premium each month, on time, every year for the last 49 years, do you think you could do her this one little favor?